She tripped up the stairs. It was so dark she could barely see as she put one foot in front of the other. As the hairs on the back of her neck pricked up, Clara tried to shake the thoughts of ghosts and ghouls floating through her mind. When she reached the bedroom she crept in quietly trying not to disturb Matthew who was already tucked under the covers, almost dead to the world. 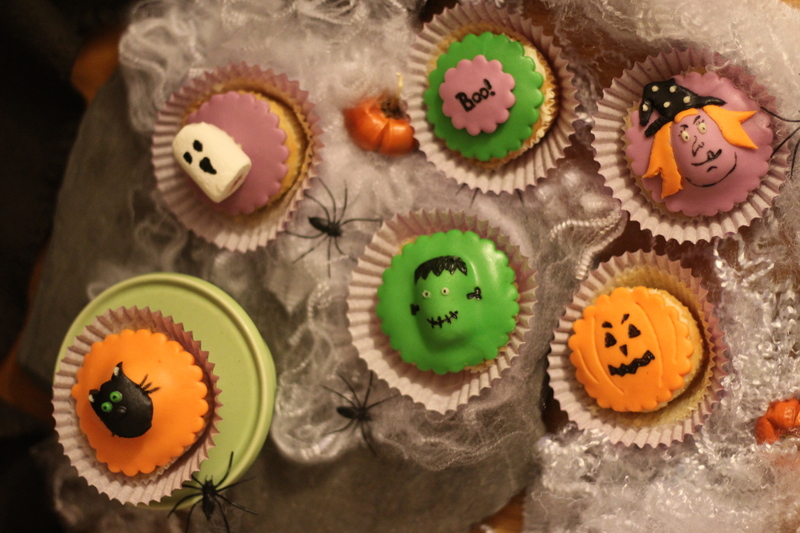 Clara dusted blood like splatters of cake mix and icing from her clothes – had she really been baking until midnight? Having changed into her nightclothes, Clara slid into the bed next to Matthew. Drifting off to sleep, she rolled closer to him. “Aargh!” She let out a bloodcurdling scream, recoiling in horror as she became aware of the ugly green face lying right next to hers. “Very funny, Matthew. 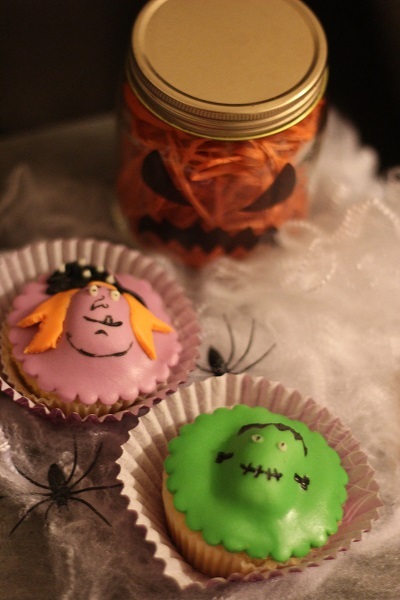 You better be careful when you next ask Trick or Treat” grumbled Clara. No recipe today folks! 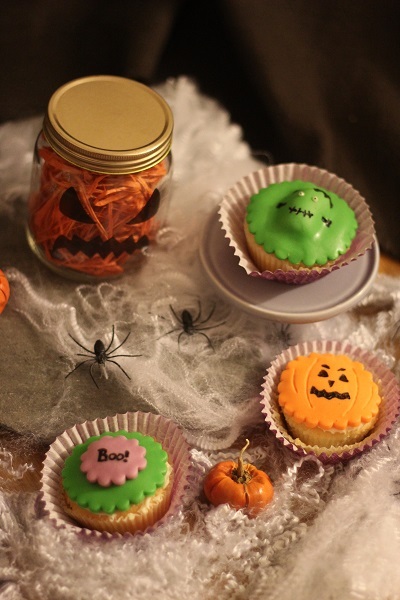 Instead just some simple ideas for decorating Halloween Cupcakes. 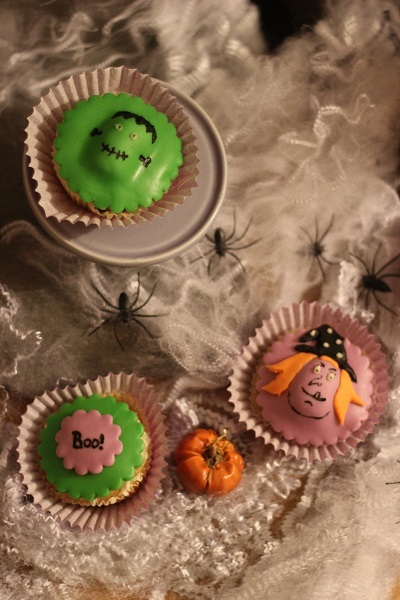 The faces of ghosts, pumpkins, Frankenstein and witches are ideal for such simple cakes. 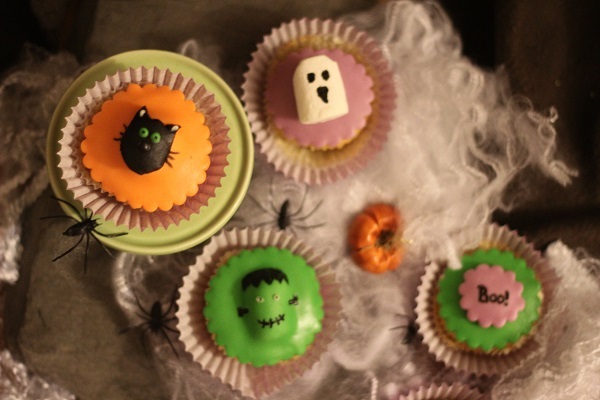 These designs can be made by using coloured sugar paste or royal icing. 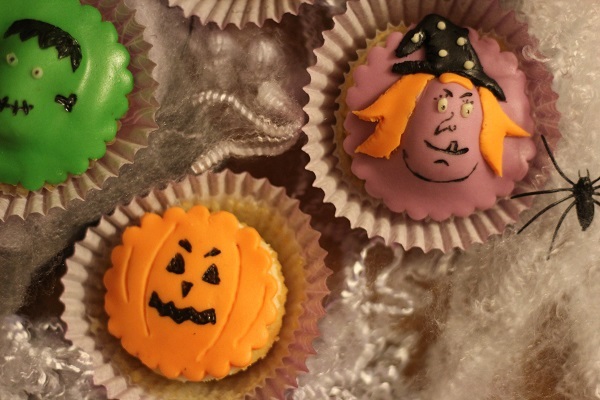 For the 3D effect of the faces, simply place a marshmallow under the icing first. I added in the features and did some of the more fiddly detail with an edible marker. Tubes of writing icing can also be used though are more unruly and can have a mind of their own. 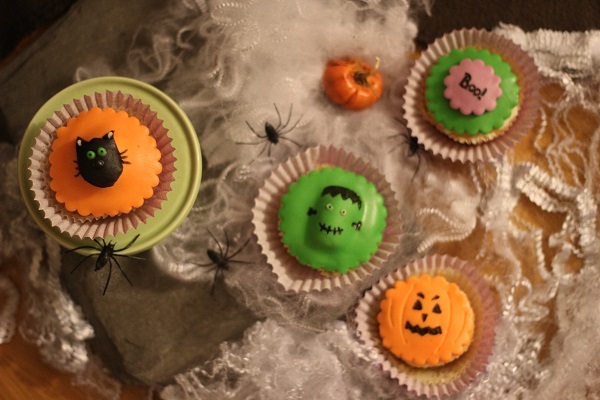 With these fun Halloween cupcake designs, you’ll have the perfect cupcakes for your Halloween party in no time! So darling! ‘It’s the season! these are so cute! love the ghost mashmallows!